I spent three months in Vietnam volunteering for an NGO. 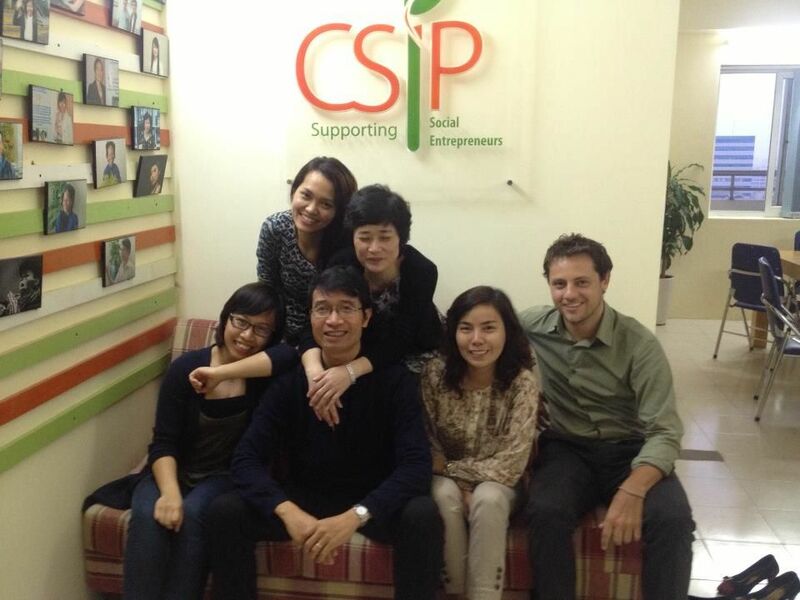 The Hanoi-based organization, CSIP (Center for Social Initiatives Promotion), promotes social enterprising and entrepreneurship in Vietnam through startup training, incubation, and acceleration programs. 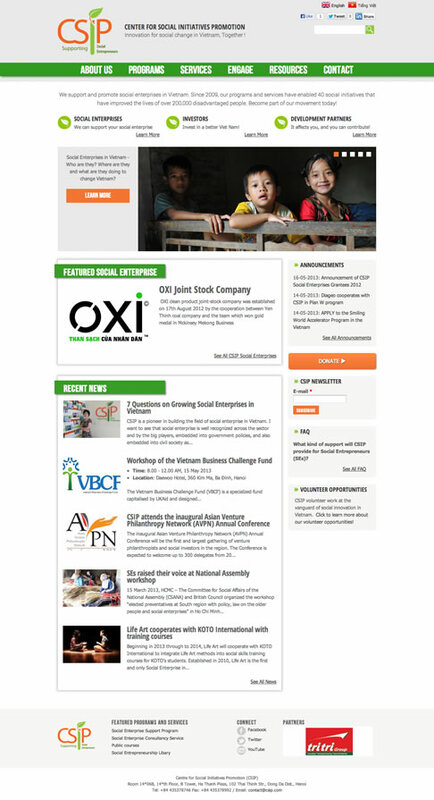 They also raise awareness about social enterprises, help NGOs become self-sustainable, and shape the political climate for social businesses through their online resources, published research, and public outreach efforts. Since 2009, they have funded and provided business support to over 40 soon-to-be self-sustainable enterprises, which to date are estimated to have improved the lives of over 200,000 disadvantaged people. Operating with a double bottom line – business profit and social impact – social enterprises are gaining traction as a highly effective means to economic development. For example, in rural villages with high disability rates among children, families are burdened with providing specialized care and attention to their young while facing lost income from their children’s inability to work. One of CSIP’s social enterprises, Tòhe, offers an innovative solution. The company organizes art workshops for disadvantaged children, selects the top artwork produced, and prints them on merchandise – handbags, notebooks, clothing, etc. – that are sold across the country. Tòhe then pays the children for their art, allowing them to contribute to their family’s income while remaining engaged throughout the day. This is just one of many success stories that truly marked me over the course of my volunteering stint. At CSIP, I was tasked with rebuilding their website. It loaded painfully slowly and was laden with inconsistent design schemes and distracting animations. The landing page didn’t define what CSIP was or did as an organization, and, worst of all, it didn’t cater to or try to solicit action from any of its target audiences. 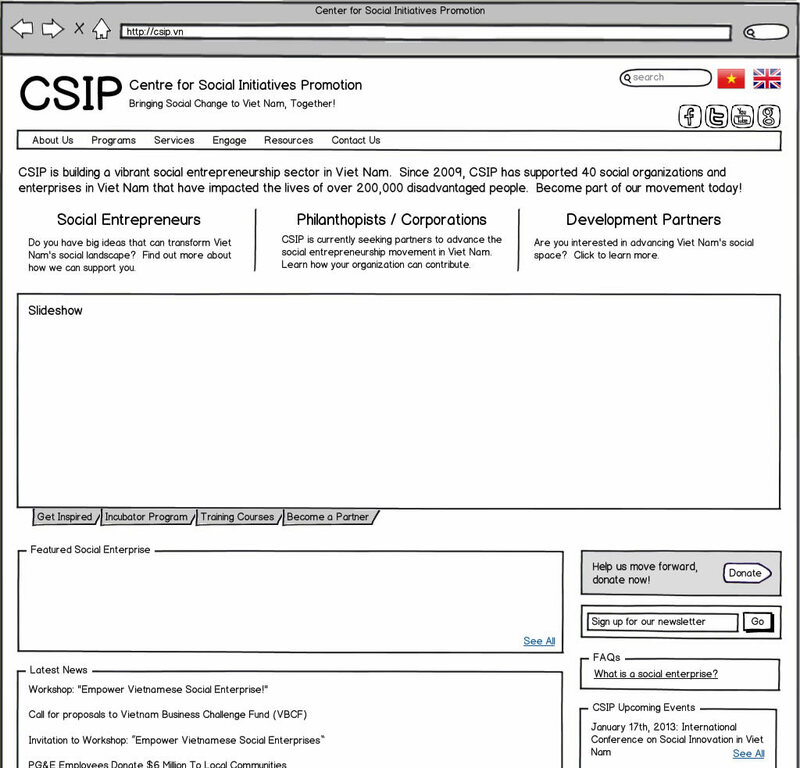 A lot of my work entailed identifying what CSIP expected to gain from their website and how they would measure success. After setting goals for their website and ranking them by importance, I was able to separate the important information from the less important and create a landing page that was consistent with the organization’s marketing ambitions. On the technology front, administrators complained about the current website’s performance and its clunky content management interface. Because I had no experience with Joomla, the current site’s content management system (CMS), I decided to rebuild the website using Drupal, a CMS I was familiar with and that CSIP preferred. After getting a wireframe mockup approved, I worked closely with a graphic designer to create a simple and attractive design. Over the remaining few weeks I developed the website and helped CSIP’s administrators learn how to use the new administrative backend. The new CSIP website, in addition to offering a greater user experience, ties more closely into the organization’s objectives. 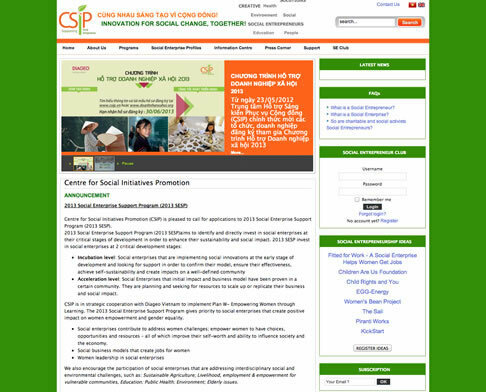 CSIP is now better positioned online to attract applications to their training and incubation programs, to solicit investments and donations to fund their operations, and to spread the word about the social enterprise movement in Vietnam. Through the search engine optimization (SEO) techniques we applied, CSIP will also benefit from greater online traffic, finally receiving the exposure it deserves as the leading social startup incubator in the country. It pained me to leave Vietnam, a country I came to love so much. Long after my departure, I will continue to be amazed by CSIP’s approach and strong dedication to promoting sustainable social progress. I am honored to have been a part of their efforts and will certainly return there one day. So until then, to them I say: Hẹn sớm gặp lại bạn (see you soon)!